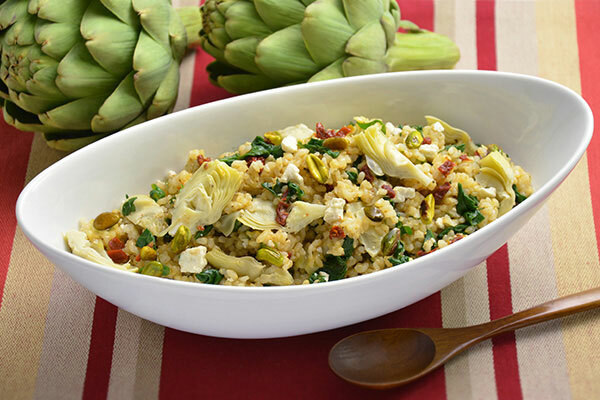 This is a flavorful rice dish with spinach, artichokes, and sun dried tomatoes with seasoned brown rice. It’s great as a meal or as a side dish. Have leftovers? Pack it for your next day’s lunch. 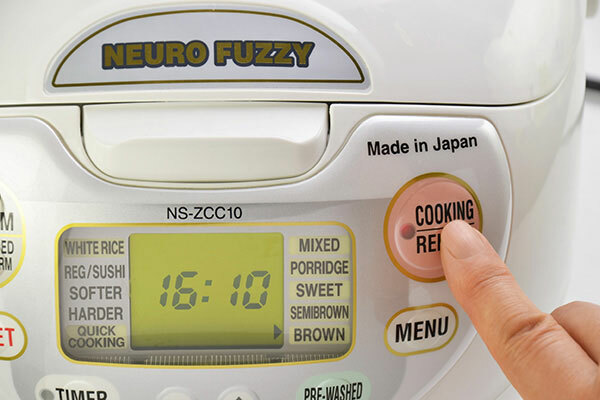 This recipe was developed for Zojirushi rice cooker models listed here. Adjustments may be necessary when using other models. 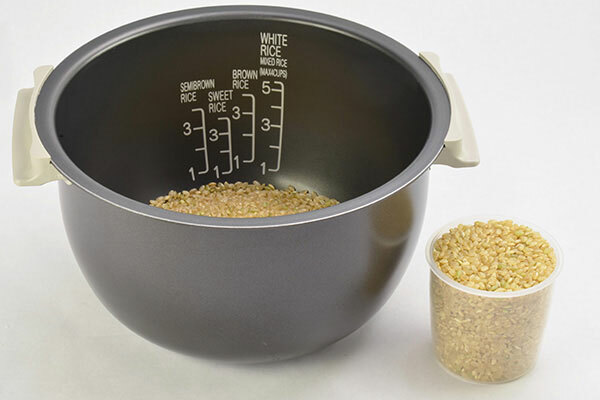 Measure rice accurately using the measuring cup that came with your rice cooker. Rinse quickly once, drain and place in the inner cooking pan. Add vegetable broth, garlic, celery seed and salt to the inner cooking pan. 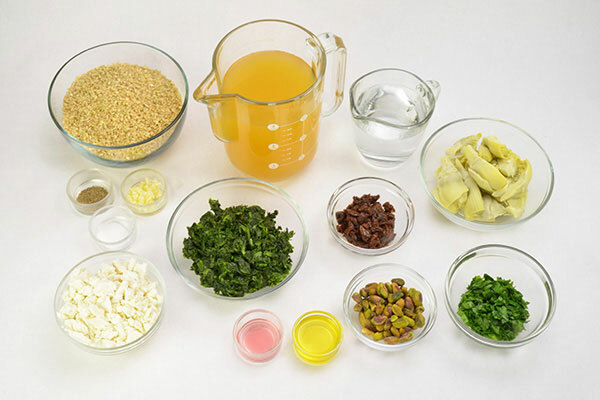 For 3 cup rice cooker: Add water to fill to the water scale marked “1.5” for “Brown Rice” if necessary (do not add water if vegetable broth has reached or exceeded the water scale). 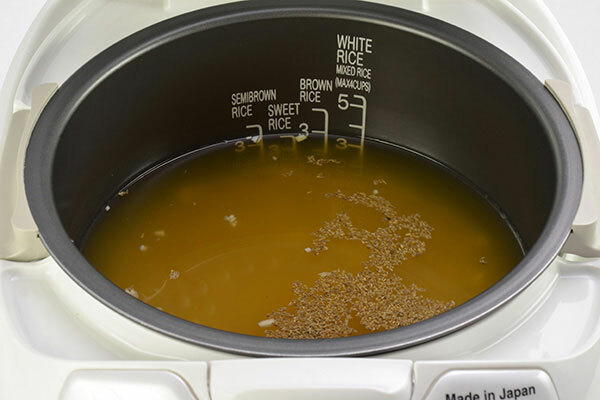 For 5 or 10 cup rice cooker: Add water to fill to the water scale marked “3” for “Brown Rice” if necessary (do not add water if vegetable broth has reached or exceeded the water scale). Mix well using the rice spatula and cook the rice using the “Brown Rice” setting. 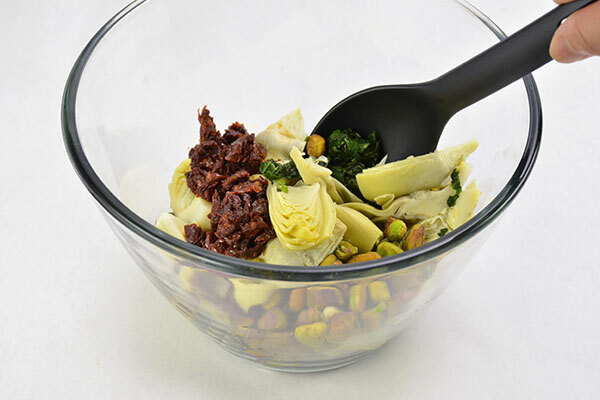 While the rice cooks, combine spinach, artichokes, sun dried tomatoes and pistachios in a microwaveable bowl. When rice completes cooking, microwave the spinach mixture for 1 minute. 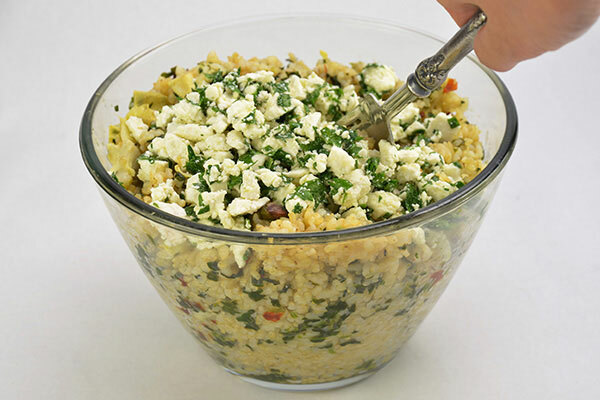 While spinach mixture heats, combine olive oil, red wine vinegar, chopped parsley and crumbled ricotta salata cheese in a separate container. 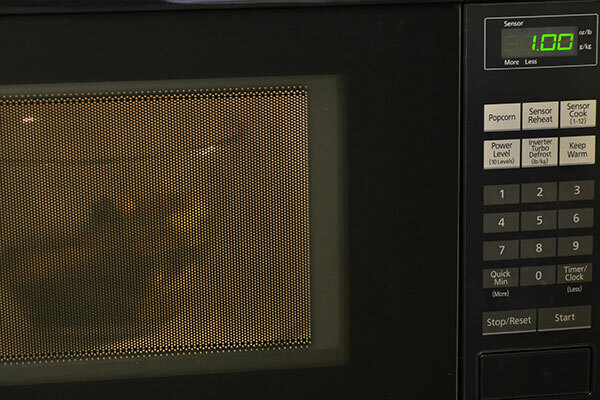 Remove rice from rice cooker to a warmed bowl. 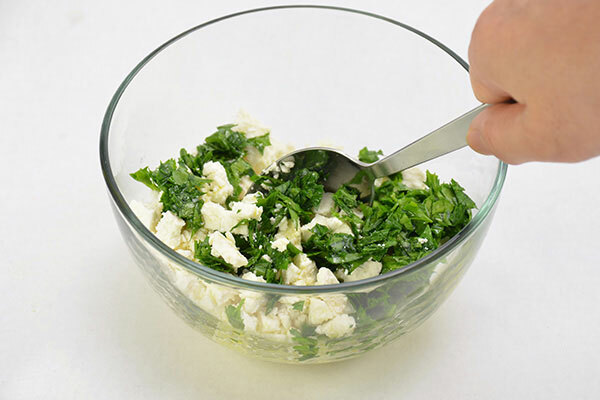 Fold in the spinach mixture with a fork. Then add parsley and cheese mixture and toss gently.